By 25 August 2018, we're halfway through with the Jakarta and Palembang Asian Games 2018. Though marred by weird selection policies, followed by internal politics, it seems India is gunning for glory, as they've garnered 6 gold medals, 5 silver, and 14 bronze medals as of now. 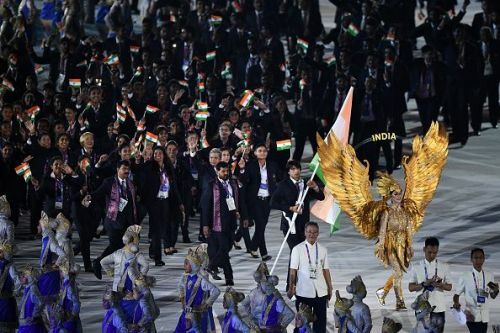 One major surprise observed during India' stint in the 1st half of Asian Games 2018 is the number of gold medals. In earlier editions, India used to win one gold medal in the beginning and had to wait for days to get another medal. But not this time. As of now, almost 7 days have completed, and India has won a staggering 6 gold medals, at the rate of almost 1 gold medal per day, which is a huge improvement if keeping in mind the upcoming Tokyo Olympics 2020, since Asian Games are no less than Mini Olympics, when it comes to the level of competition. Though presently ranked 9th, India has a potential of breaking into the top 5 of the medal tally, given that there are almost infinite sports lying ahead in the latter half of the Asiad, where India can win a good amount of gold medals. It's only a matter of time to see if India successfully manages to do that, and breach their lifetime best tally of 15 gold medals, made in Delhi 1951. The brainchild of the current NDA government, Khelo India, an initiative to find the best of talent in sports from Indian schools has seemed to reap rich dividends this time. A significant lot of India's medalists in these Asian Games have come up from this very initiative. At the Asian Games 2018, Khelo India has accelerated a significant improvement in the sports of shooting and swimming. Shooting, which had suffered the jolt of returning empty-handed from Rio Olympics 2016, has witnessed a huge improvement, with 9 medals in their kitty, of which 2 are gold medals, 4 silver and the rest are bronze medals. Even though they couldn't win any medals, swimming contestants also stormed easily into the finals of their respective events, thanks to the cream of the talent spotted by Khelo India. Interestingly, three of the shooting medalists are not even 20 years old. 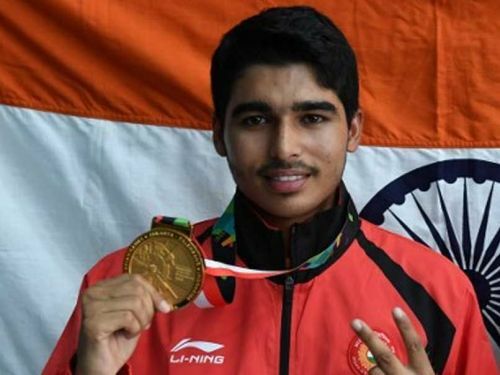 Lakshay Sheoran, who clinched a surprise silver medal in the Men's Trap event, is 19, while Saurabh Chaudhary, who shocked one and all with a gold medal in the last moments of the Men's 10 m. Air Pistol, is barely 16, and is also a contender for a strong podium finish at the Buenos Aires Youth Olympics. Even Shardul Vihan, who won a silver medal in the Double Trap category, is only 15 years old, and one of the youngest Asiad medalists from India by the virtue of his age. Had Manu Bhaker not underperformed in the finals of Women's 10 m. air pistol and Women's 25 m. pistol finals, she could've joined this list as well!